Can GST help India race past China in ease of doing business rankings? As India moves 30 notches up to feature in top 100 countries in World Bank’s ease of doing business rankings for 2018, there has been a lot of talk on whether India can move ahead China once reforms like the GST (Goods and Service Tax) are factored in the next year’s evaluation by the World Bank. GST, which was implemented on July 1 was not taken into account in Doing Business 2018 report as rankings for all economies were benchmarked to June 2017. Finance Minister Arun Jaitley on Tuesday said that he is hopeful that GST will further improve India’s ranking in the coming years. Bankers and experts in the country have expressed hope that GST will strengthen the country’s position in future. 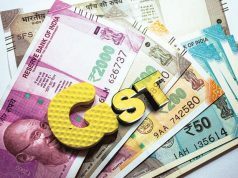 “Going forward, GST’s incorporation in next year’s assessment will provide another significant leap in doing-business rankings for India,” Yes Bank Managing Director Rana Kapoor said in a statement. India ranked 29th in Getting Electricity metric of Doing Business 2018 while China was way behind at 98. In Getting Credit, India ranked at 29, whereas China was at 68. On protecting minority investors, India ranked 4th in the world while China was at 119. In paying taxes, India (rank 119) was ahead of China which ranked 130. According to KPMG, the next paradigm shift to top 50 is still a long way ahead and will require India to maintain a strong momentum. 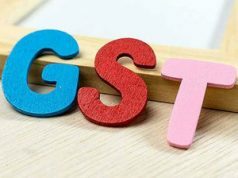 The GST reform that did not get considered this year will drive India’s improvement in the next year’s assessment, but there is a need to continue to work on other areas including starting a businesses, trading across borders as well as land reforms, KPMG partner Nilaya Verma said. The change in ranking reflects the outcome of a significant effort by central, state and city administrations, another consultancy firm PwC said. The improved investment climate will give an impetus to several economic corridors that are ready for investors, it added. World Bank’s Doing Business 2018 report puts India as one of the 10 economies that improved the most in the areas measured by Doing Business. South Asia is the only region not represented in the top 50 ranking for ease of doing business. World Bank has taken names of 10 countries that have taken structural reforms. India is the only major economy to feature in this list. “The biggest jump we have made is in taxation reforms. 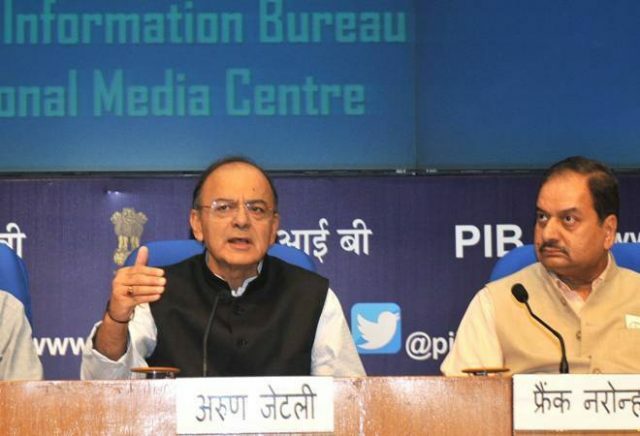 This year we have moved up 53 places to 119,” Finance Minister Arun Jaitley had said on Tuesday. With this year’s performance, India became the first ever country to record highest jump in World Bank’s ease of doing business ranking. Within South Asia, India has the highest score (80) for protecting minority investors compared to Afghanistan’s score of 10. The World Bank report said the establishment of debt recovery tribunals in India reduced non-performing loans by 28% and lowered interest rates on larger loans, suggesting that faster processing of debt recovery cases cut the cost of credit. 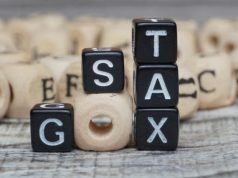 India eased tax compliance on businesses by implementing an online platform for the electronic payment of the Employee Provident Fund and introducing administrative measures to ease corporate income tax compliance, the report mentions. India reduced the number of procedures and time required to obtain a building permit by implementing an online system that has streamlined the process at the Municipality of New Delhi and Municipality of Greater Mumbai. India strengthened access to credit by amending the rules on priority of secured creditors outside reorganization proceedings and by adopting a new law on insolvency that provides a time limit and clear grounds for relief to the automatic stay for secured creditors during reorganization proceedings. This reform applies to both Delhi and Mumbai. India strengthened minority investor protections by increasing the remedies available in cases of prejudicial transactions between interested parties. This reform applies to both Delhi and Mumbai. India made paying taxes easier by requiring that payments be made electronically to the Employees Provident Fund and introducing a set of administrative measures easing compliance with corporate income tax. This reform applies to both Delhi and Mumbai. India reduced import border compliance time in Mumbai by improving infrastructure at the Nhava Sheva Port. Export and import border compliance costs were also reduced in both Delhi and Mumbai by eliminating merchant overtime fees and through the increased use of electronic and mobile platforms. India made enforcing contracts easier by introducing the National Judicial Data Grid, which makes it possible to generate case management reports on local courts. This reform applies to both Delhi and Mumbai. India made resolving insolvency easier by adopting a new insolvency and bankruptcy code that introduced a reorganization procedure for corporate debtors and facilitated continuation of the debtor’s business during insolvency proceedings. This reform applies to both Delhi and Mumbai. Labor market regulation India increased the mandatory length of paid maternity leave. This reform applies to both Delhi and Mumbai.